What does it take for a restaurant to suddenly get famous: a perfect location, creative design or fantastic food? The answer proves to be elusive, as we’ve seen many a restaurant with a bright future bite the dust too early. 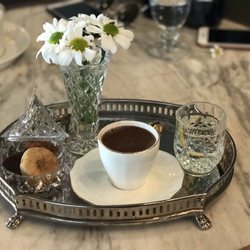 But whatever new Topağacı restaurant Grey’s secret is, it seems to be working: it’s a common sight to find patrons dining at the bar for lack of a table and celebrities stopping by for drinks with friends.